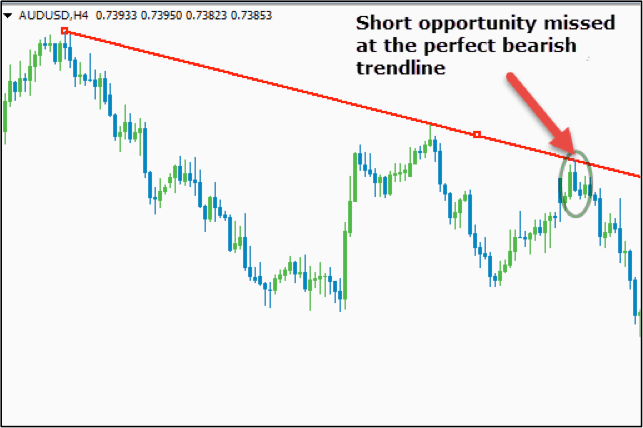 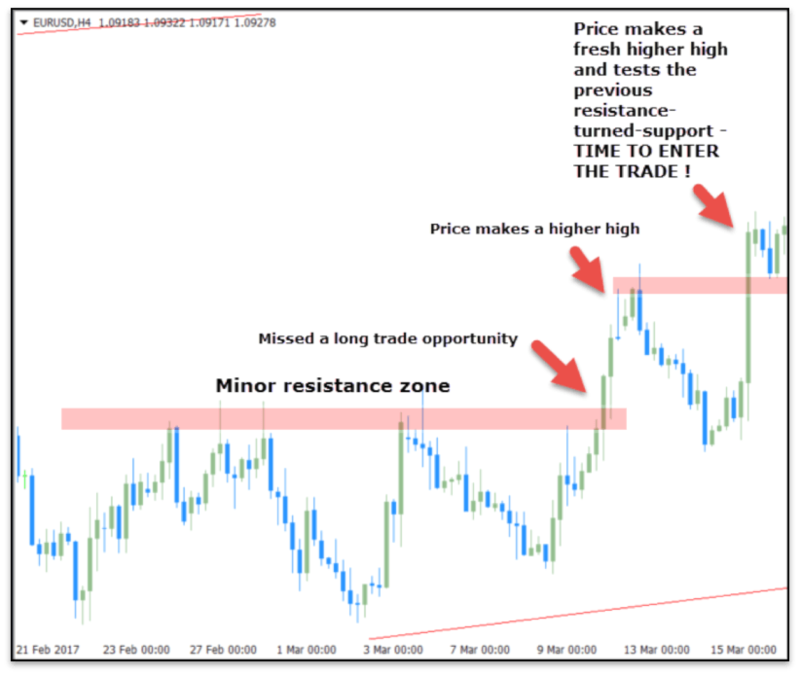 From the above figure, you can clearly see that the AUDUSDpair retraced back to the trend line resistance level and gave the traders a second chance to execute a short order in the market. 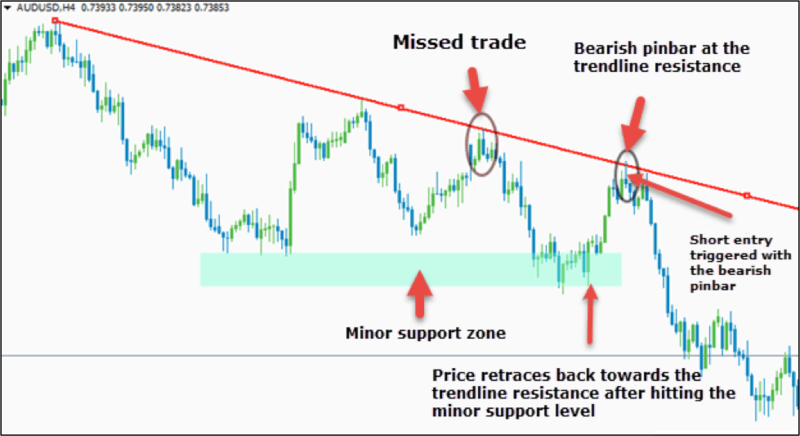 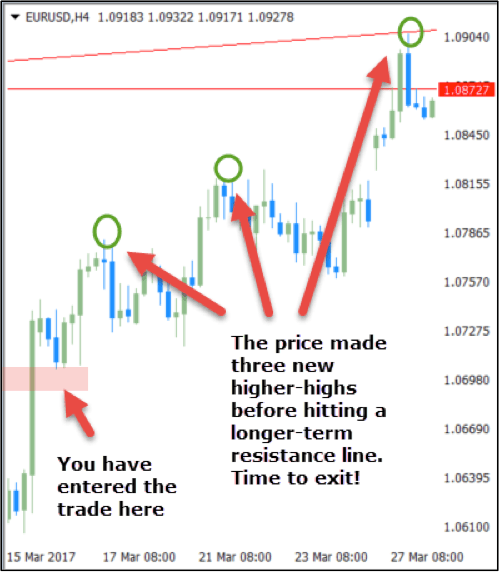 To be precise, the second trade setup is much more reliable as it formed a nice “bearish pin bar” right at the trend line resistance level which was not the case during the first time. 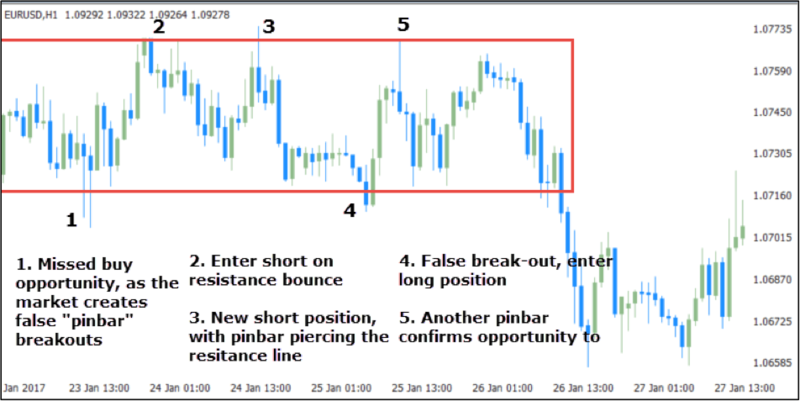 So there is nothing to worry if you have missed a trade in the market, all you need to do is to wait for the minor retracement of the price towards the support and resistance level before you execute the trade in the market.